I was going through some old blog posts and decided to delete a few outdated posts. I'm planning on revamping any outdated reviews by making newer posts. 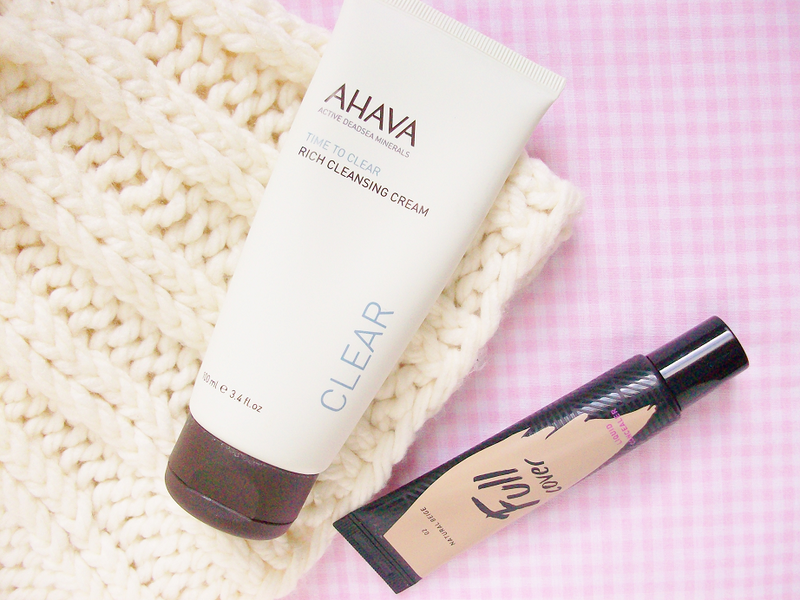 The first post up is about my absolute favorite face cleanser ever! It's the Ahava Rich Cleansing Cream! I reviewed this a few years ago but obviously my photography skills have improved since then. Anyways, enough ramble let's get on to the review! "A mineral-rich, softly textured wash-off cleansing cream that dissolves makeup and cleanses impurities while moisturizing skin. 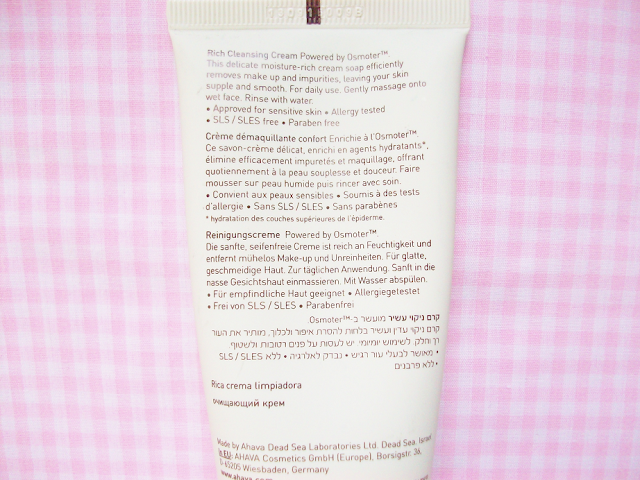 Dead Sea minerals and aloe vera extract leave normal-to-dry skin clear and hydrated." 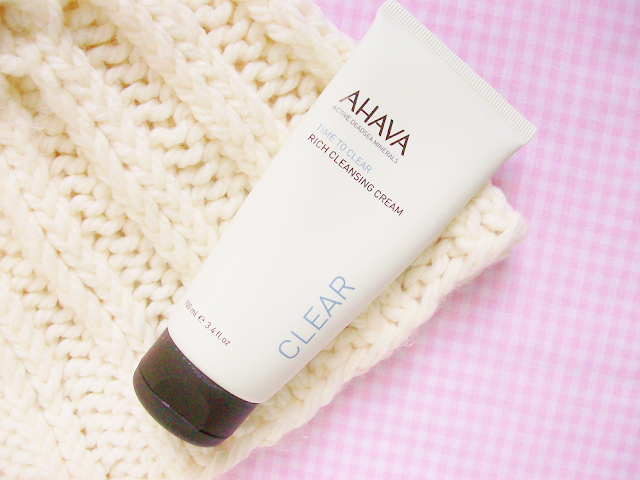 This is probably my fifth tube of the Ahava Rich Cleansing Cream and it's still one of my favorite cleansers I've ever used! I was first introduced to this cleanser through Birchbox and now it's my go-to cleanser. The cleanser has a creamy gel-like consistency. It's lightweight and has a very faint smell. A lot of people apparently don't like this smell but, honestly, you can barely even smell it. As for cleansing, it does a really good job at cleaning without drying out your skin. It also does a fantastic job at brightening your face while moisturizing. The first time I used this cleanser it instantly brightened my face, which is the main reason why I fell in love with this product! The only downside is that if you get the cleanser in your eyes, it will sting really REALLY bad! I've had it happen to me many times and it still burns! Yes! It works great on normal to combination-oily skin. 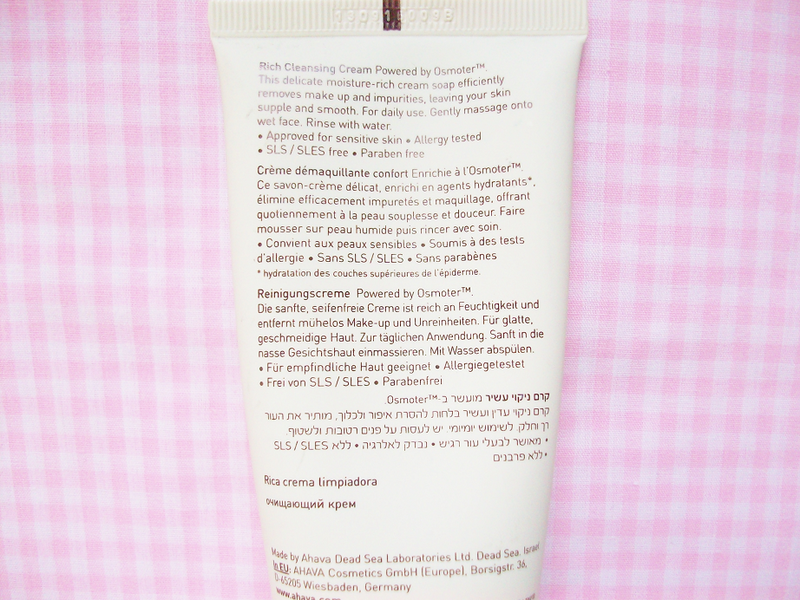 You can purchase the Ahava Rich Cleansing Cream here.